I created this scholarship to give people a creative experience. When I was in 8th grade at Webster Stanley Junior High, I was awarded a scholarship to attend the University of Wisconsin at Wausau, WI for a week of art classes. Kids from all over Wisconsin attended this art camp and this experience changed my life. It gave me such a wonderful feeling of being accepted into the art community that I want to share that feeling with others. I have focused on young people to receive this scholarship but have also given awards to adults as well. This brings me great joy to offer this scholarship and have people feel special about their passion of art as well! Sophie Shaffer is the 2017 scholarship winner. Sophie is home schooled at Green Lake, WI. Not only is she a great painter, she is a wonderful musician and composer as well. Amanda and Hannah Dorsey are the recipients for the 2016 Joye Moon Scholarship. They will both attend “SCAD” the Savannah College of Art and Design in Savannah, Georgia for the summer program. 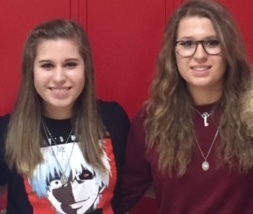 Amanda and Hannah attend Neenah High School in Neenah, WI. Enjoy your experience! Stephanie Verish is the 2014 scholarship recipient. Stephanie is a student at the Ringling College of Art and Design, Sarasota, FL. Stephanie graduated from Brookfield East High School, Brookfield, WI. She is majoring in computer animation and hopes to work in the film industry after graduating from Ringling. Congratulations, Stephanie. All the Best! Pat Roberts, from Ft. Walton Beach, FL, was the first 2013 scholarship recipient. Pat was able to attend the 3 day workshop in February at ADSO, the Ft. Walton Beach art center. Jake Buchanan received a scholarship, in his name, to benefit his AAU basketball team in Wisconsin. Unlike the past art related scholarships, Jake’s passion and expertise for basketball deserved recognition. Good Luck in all your tournaments, Jake! 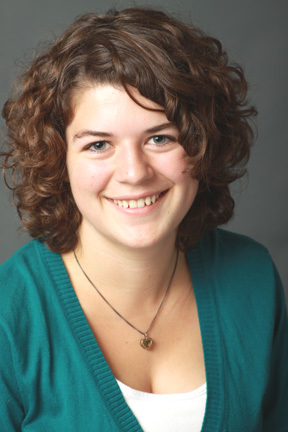 Gloria Dorschner was selected for the 2011 scholarship. 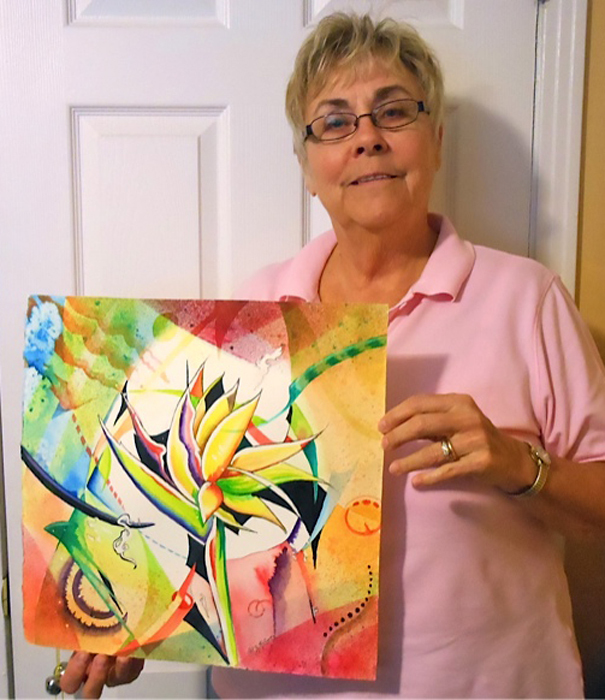 Gloria will use the money to attend three different art workshop in Wisconsin this summer. At the time of the award, Gloria graduated from 8th grade from Webster Stanley Middle School in Oshkosh, WI. Coincidentally, I was in 8th grade at Webster Stanley when I received my first scholarship to attend art camp at the University of Wisconsin Extension at Wausau, WI. Gloria, can’t wait to see all the great artwork you produce from these workshops! Jeff Zdrale received the 2010 scholarship to attend a watercolor workshop I was conducting at the Paine Art Center and Gardens in Oshkosh. Scholarship. 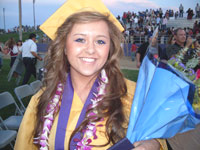 Alyssa received the scholarship during the awards ceremony at the Orestimba High School in Newman, California on June 1, 2009. She will attend Modest Junior College majoring in fine arts. Allysa will work towards receiving a Bachelors of Fine Arts degree. Congratulations, Alyssa! Kayla Douglas received the 2008 scholarship to attend a workshop at Pagosa Springs, Colorado. Morgan Redemann was 2006 Joye Moon Scholarship award winner. Morgan is not only an artist, she is also a dancer and a writer. Morgan was graduating from Carl Treager Middle School when she received the award. Adrienne Gruber received the 2005 Joye Moon Art Scholarship. Adrienneis a student at Seton Elementary School at St .Vincent’s in Oshkosh, WI. Adrienne used the scholarship to attend the University of Wisconsin-Oshkosh’s Goal Program for 2 weeks in June, 2005. Congratulations, Adrienne… I hope you enjoyed your creative experience! In May 2004, I awarded the first annual Joye Moon Art Scholarship. The ceremony held at the Monk-Reising Gallery in Oshkosh, WI. Taliah Scheibinger, from the Madison area, was the recipient. 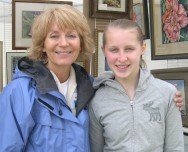 I met Taliah when I conducted a Plein Air workshop in Booth Bay Harbor, Maine. Taliah is not only very talented with the visual arts but gifted as a writer as well. 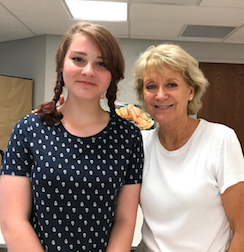 She used the scholarship to participate in an adult creative writing class conducted at the University of Wisconsin in Madison this past summer. I congratulate Taliah in all her efforts creatively and hope this is the start of many scholarship presentations.